Bohmann Concrete operates a 2003 Schwing 32 Meter Pump Truck. 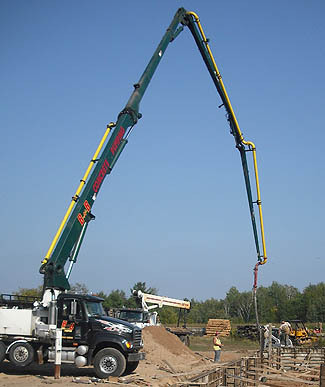 With this and our experienced driver, we can make our pours even more efficient, especially with a difficult jobsite. 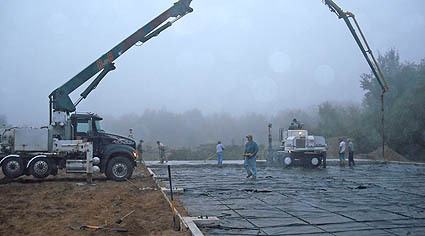 We also rent our pump to other concrete contractors within a 3 hour radius of Hayward, WI. Please call to hear about the most competitive rates in the area.